This eight-session journey through Paul's letter to the Philippians can be used with individuals or groups of any size to present the excitement, challenge and joy of following Christ. 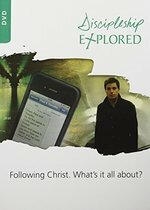 It's ideal for new Christians, or anyone who wants to know Christ more deeply. Whether the reader is a new believer or has known Christ for a lifetime, Tozer's words will encourage and inspire them to love Jesus more. Come and be discipled by this beloved spiritual writer. Our multicultural world needs countercultural disciplers. People from all over the world are coming to Christ from a variety of backgrounds. This requires more people who are willing to commit to the effort and sacrifice it takes to invest in new believers. Rooted in over four decades of multicultural discipleship experience, Ajith Fernando offers biblical principles for discipling and presents examples showing how they apply to daily life and ministry. He addresses key cultural challenges, such as the value of honor and shame, honoring family commitments, and dealing with persecution, and helps us think realistically about the cost and commitment required for productive cross-cultural ministry. 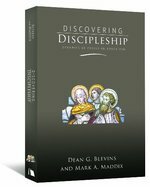 This practical guide to discipleship will help us help others grow into mature and godly followers of Christ. Practicing faithful discipleship means focusing on the daily aspects of Christian education in the local church, within its structures, and through faithful ministry. 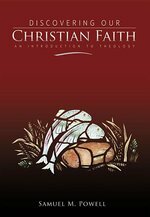 Through Bible-based truths and helpful insights, Discovering Discipleship identifies principles that provide the Christian educator with an overview of the significant aspects of faithful discipleship. 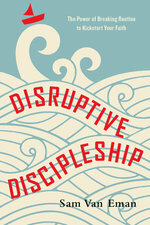 Effectively organized into four areas--definitions, dynamics, design, and practice--authors Dean Blevins and Mark Maddix offer readers an approach to discipleship that seeks to honor God, understand our role in the contemporary world, and guide persons and communities according to Kingdom principles.In this honest exploration, readers will find a new perspective on discipleship that will help them dig deeper and develop a long-lasting and effective practice of community formation and faithful discipleship. Sometimes in the Christian life we get stuck. Something seems off, and we don't know why. We may not even notice it at first. But we feel like God is far from our daily lives, or we lose hope for the future, or we don't treat others in loving ways. What can we do? Sam Van Eman has found that our spiritual lives need disruptive experiences, which can jolt and reorient us for greater spiritual maturity. Out-of-the-ordinary activities such as a wilderness adventure or an international service trip can challenge our assumptions and give us space to consider new perspectives. And when we intentionally choose to pursue designed experiences, we stretch our faith in new and unexpected ways. Filled with concrete examples of how ordinary people are shaped by disruptive experiences, this book provides a path to deeper faith on purpose. Jesus disrupted his disciples with invitations to get out of their boats, leave their nets, and follow him. Have courage, and discover what those kinds of disruptions might look like for you. We live in a distracted, secular age. These two trends define life in Western society today. We are increasingly addicted to habits--and devices--that distract and "buffer" us from substantive reflection and deep engagement with the world. And we live in what Canadian philosopher Charles Taylor calls "a secular age"--an age in which all beliefs are equally viable and real transcendence is less and less plausible. 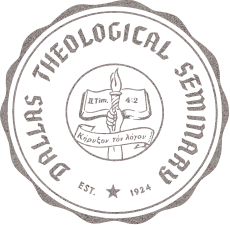 Drawing on Taylor's work, Alan Noble describes how these realities shape our thinking and affect our daily lives. Too often Christians have acquiesced to these trends, and the result has been a church that struggles to disrupt the ingrained patterns of people's lives. But the gospel of Jesus is inherently disruptive: like a plow, it breaks up the hardened surface to expose the fertile earth below. In this book Noble lays out individual, ecclesial, and cultural practices that disrupt our society's deep-rooted assumptions and point beyond them to the transcendent grace and beauty of Jesus. 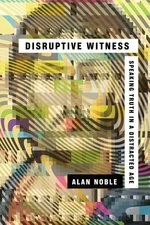 Disruptive Witness casts a new vision for the evangelical imagination, calling us away from abstraction and cliché to a more faithful embodiment of the gospel for our day. Wasn't the South African Apartheid supported by Christians? Weren't the Crusades motivated by greed, but advocated by the church? Don't phoney television preachers manipulate viewers into donating money? 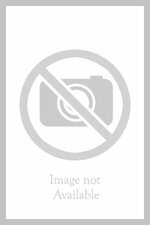 William Edgar addresses these and other questions honestly, without attempting to dismiss or explain away their uncomfortable realities. He displays the good aspects of the church even more brilliantly through frankly and Biblically acknowledging the bad. If you have ever asked the question Does Christianity Really Work? this will be an interesting and enlightening read, whatever your prior convictions.